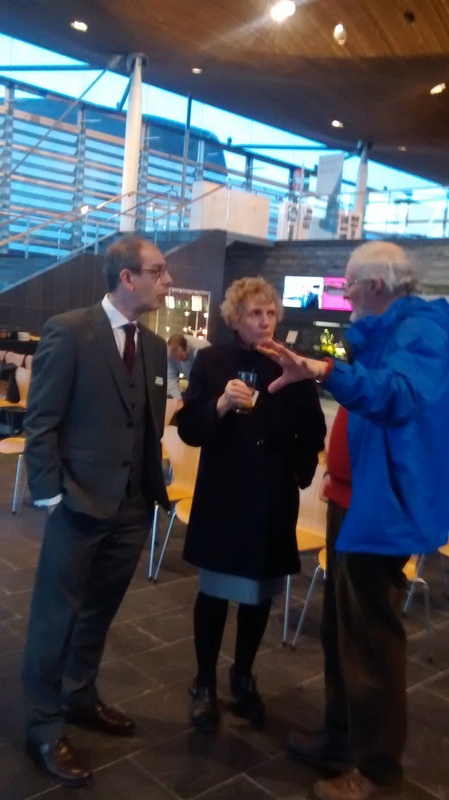 Glandwr Cymru Annual Public Meeting in the Senedd. 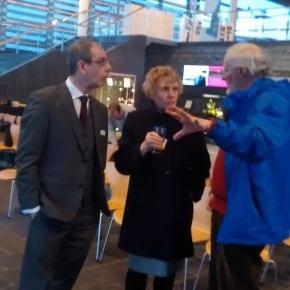 Martin, Gill and Liz attended the meeting in Cardiff. 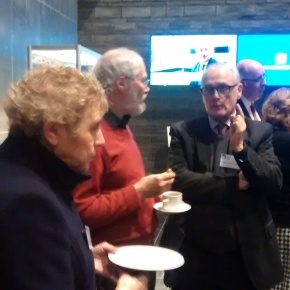 Lots of interesting conversations were had and the Society was mentioned in the speeches as contributing 11,000 hours of volunteering in the last year. That equates to a donation in kind of about £77,000. 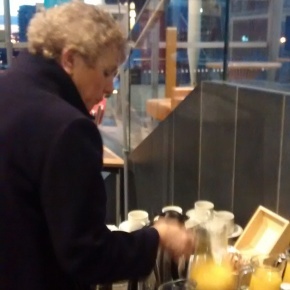 Despite a meal prior to the meeting, we all managed to enjoy the refreshments as can be seen in every photo, and Gill, as SCS Head Caterer, took the opportunity to check out the standard of the catering. 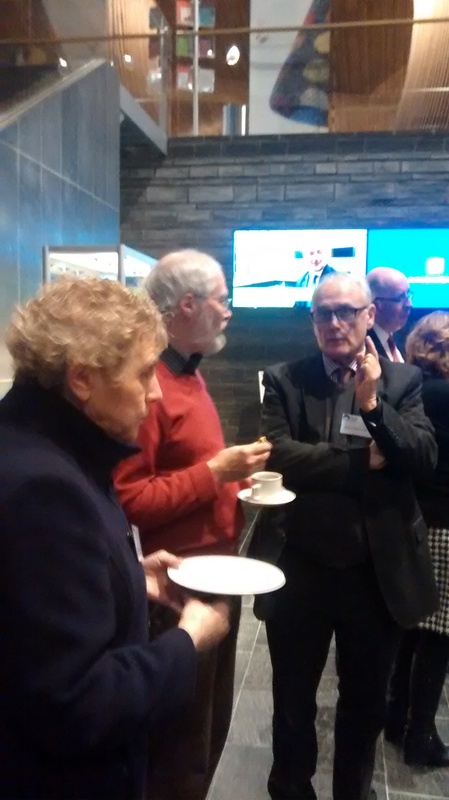 We met Byron Davies, AM for South West Wales, Julia James, AM for Swansea West, Robert Moreland, Trustee for the South Wales and Severn Waterways Partnership and John Dodwell, Trustee of the Canal and River Trust. Both Byron and Julia wish to visit us on the canal this summer. We were delighted that they took so much interest in our activities. Old friends too were there. Richard Parry, David Morgan and Julian Atkin were full of praise for our efforts. The latter two will be attending the Sustrans meeting on Tuesday night at the Vadre Rugby Club to discuss the future of the piped section in Clydach. Andrew Stumpf, Head of Wales, said that the restoration of this 100 yard stretch of our canal was a top priority in the Glandwr Cymru 3 year plan. 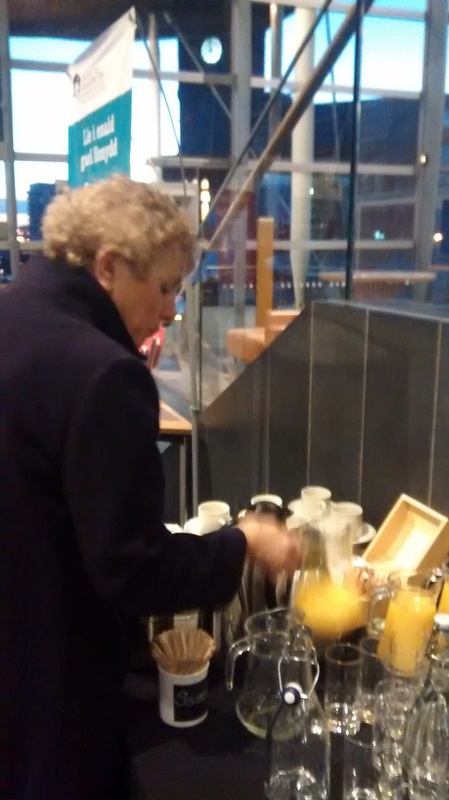 We left with several business cards, including that of Richard Dearing of Natural resources Wales. He will be visiting us at the canoe store later this summer to see our SPLASH funded project. Previous postTHE WEEK AHEAD: 1.2.15. TO 7.2.15. Next postTHE WEEK AHEAD 7.2.15. TO 14.2.15.